Enjoy preparing a delicious meal with this fabulous Salter chopping board made from sustainable and eco-friendly bamboo. 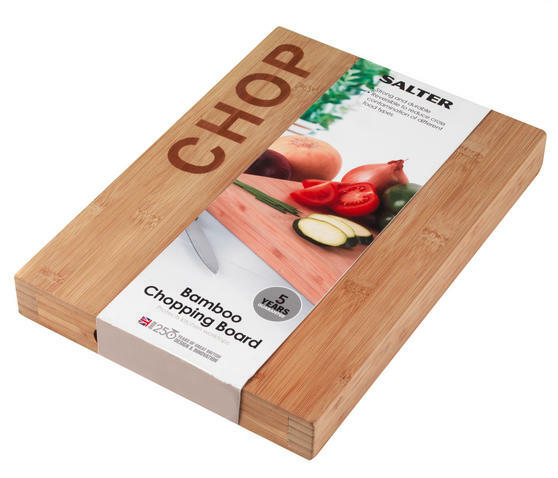 Thick and durable, it is suitable for light or heavy chopping and will protect your worktop from any scratches or marks that could be caused by knives. Ideal for everyday use, it is reversible and easy to clean in order to help prevent cross contamination during food preparation. Featuring a simple “chop” text design, this great looking board will complete your kitchen. 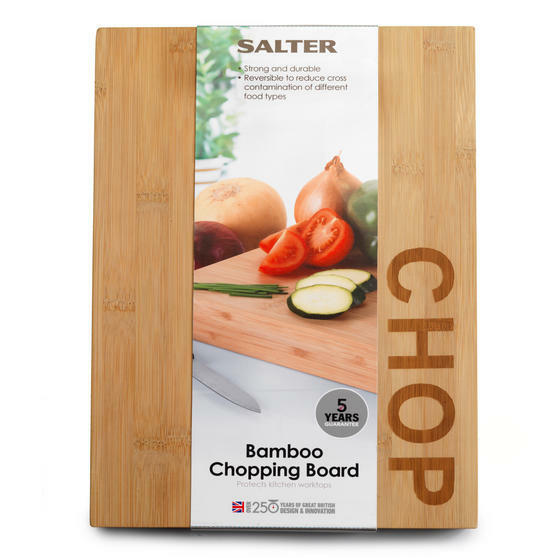 Enjoy cooking a huge variety of foods with this fantastic Salter chopping board, made from wonderfully eco-friendly bamboo. Strong and versatile, bamboo is a sustainable material, able to grow and mature quickly while also helping to improve soil conditions. Measuring 35 x 25 x 4 cm, the chopping board is thick and durable so you can chop, slice and cut with confidence as you prepare a meal. The board will brilliantly protect your kitchen worktop and is even reversible to reduce cross contamination of different food types. 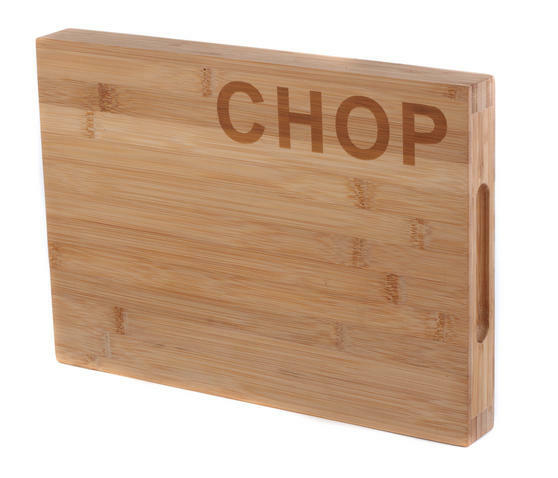 Made from smooth, light coloured wood and featuring bold “chop” text, this chopping board will look fantastically smart in any kitchen.